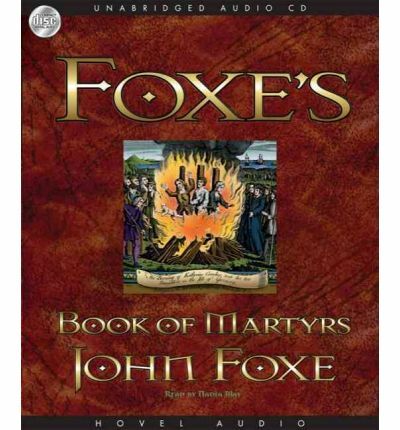 Nadia May's poignant narration of the classic Book of Martyrs engages the hearts of modern Christians. This compelling and heart-wrenching story details the courage and faith of men and women who found victory by following Christ even unto death. For many generations of Western Christians, this book was the only devotional and evangelical text available, other than the Bible. It inspired evangelism, fueled church growth, and cemented the determination of many to make real-life sacrifices for their faith. Beginning with the story of Stephen from the book of Acts, considered the first Christian martyr, the drama builds to the passion of the early Church's persecution under the Roman Empire. The hardy and radical faith of those first believers spawned medieval missionary movements that spread the gospel across Europe and into England, Scotland, and Ireland. As the story continues, it places a significant emphasis on the sufferings of the early Protestants during the Reformation. Note: the structure of this mp3 audiobook is mp3-cd. This indicates it will only play on personal computers with CD-ROM or DVD drives or CD players that are fitted to play mp3-cds. It can however be replicated from a home pc to an mp3 player like an ipod sandisk rockbox sony or similar player.